I’ve seen many answers to the question, “What do investment bankers do?”, but they’ve all been either bad or boring. Investment bankers are agents, just like Ari. We don’t create anything and we don’t buy anything; we just sell things that aren’t ours to begin with. And we make a lot of money doing that, thank you very much (just read the low-down on investment banker salaries). If the business world were like Entourage, investment bankers would be the agents, private equity firms and large companies would be the studios, and companies would be the actors and movies. Private equity firms buy and sell companies; studios buy and sell actors and movies. Bankers make introductions and try to sell companies; agents make introductions and sell their clients. 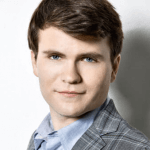 Vince Chase would be Facebook: young but huge success in store, even with occasional missteps along the way. The fictional movie Medellin would be WebVan. Or maybe Kosmix. Just like in Hollywood, starting or running a company (movie/actor) carries the most risk but can also the most fun for those involved. If you look at all the characters in Entourage, it’s hard to argue that Vince doesn’t have the best life. But it’s not easy to get there and it’s far riskier than being the agent (banker) or the studio (private equity firm). The agents and the studios, on the other hand, have an easier but less fun job: they must distribute risk so that they don’t get screwed. So when choosing a career, don’t ask what job you want. If you’re an Ari guy or girl, you might just be a banker. First, you really need to watch Entourage or you have no right to work in finance. So go watch it. But just in case you haven’t yet: think of investment bankers like real estate agents but for companies instead of houses. Just as a real estate agent introduces buyers and sellers of property, bankers introduce buyers and sellers of companies and try to make a deal happen. And just like real estate agents, the only thing at stake is our time – we have no money invested on either side. But What Will You Do as an Investment Banking Analyst or Associate? The above is the “high-level” view of what investment bankers do. As a junior banker, you’re more like Lloyd: you grab coffee for Ari and take care of his grunt work. Just ask away and Lloyd will handle all the responses. Absolutely superb article – the Ari Gold and Entourage analogy is perfect. I do have a question and would greatly appreciate your input. I’ve been doing mid-market M & A for many years through my own firm. I’ve been recruited to bring my book of business, contacts, etc to run a small investment banking venture. What is the common commission split in the industry – meaning, how much does the individual banker give to the house? On a $1.0 commission, what percentage should go to the company and what to the individual? Thanks for reading! I am not sure about the normal commission split offhand, so I hesitate to comment on that. But if you’re bringing in the deals and clients, you should be receiving at least 50%. Best Explanation Ever ! I actually really understand it from your use of Entourage. Kinda like in the movie “Road Trip” where Rubin explains to Ancient Greek History Josh by using WWF wrestling as a point to relate too. Great Entourage analogy. However, I am more concerned on what skills I will need during a summer analyst role. More specifically, I am concerned about a summer analyst position in portfolio management for an investment bank. Do you really learn almost everything on-the-job? A lot of times when we prepare for IB technical interviews, we are asked questions like how does X affect the 3 statements, and why do certain methodologies have greater valuations, etc… Do those who now have FT IB jobs and have been working for 6+ months know the answer now because you fully understand it? In other words, how long does it take most people to finally ‘get it’ in terms of fully understanding technical finance knowledge? And when/how did you finally grasp the understanding? Was it after you closed your first big deal? Or just practicing over and over? Are you (and most analysts) able to model everything from scratch, as opposed to templates (or is that just people in M&A)? So question is: Is learning finance/investment banking/modeling really all on-the-job? You do learn a lot on the job. However, it is likely that some who have offers may not necessarily understand all the concepts. In terms of the length of time it takes for people to “get it”, it depends on the individual. I’d probably say 6 months – 1 year, when the individual has worked on a few deals. A lot of analysts can build models from scratch. And yes, you will learn immensely on the job vs. learning via textbook/lectures. Thank you so much Nicole!! Great answer. Can you elaborate just a bit more on this? When/how do you/analysts start to process and go about ‘learning’ the concepts? In other words, in the midst of doing work and getting stuff done, when/how do you go about processing all the concepts? When/how do you step back and know you understand the financial concepts? 5) Not stupid at all. We all go through this. There’s something I don’t get about Investment Banking. The line between what’s part of IB and what’s not is kind of fuzzy, and according to different sources, activities included differ. For example, I first understood that IB mostly dealt with M&A and IPOs, LBOs were part of leverage finance, Trading was almost completely something else, and VC/PE were also different (for they’re considered to be “exit” ops). However, other sources assume that all M&A, PE/VC, IPOs, LBOs, … (mostly everything on this website) and even trading/stockbroking are part of investment banking. So I wonder whether IB is defined by wide concepts such as underwriting, or enlists only specific activities like M&A and IPOs. Or are there just different “scales” for using the term IB (wide and precise)? What should one expect to deal with? I’ll be grateful if you’re able to draw the line shortly and simply, but feel free to redirect me to any source that you think is relevant. IB is an umbrella which consists of IPOs, M&As, private placements, levfin, etc. You’re more likely to be dealing with corporate clients (management of companies) versus investors (public markets). Trading is also part of an investment bank, but it wouldn’t necessarily be IB because it is more markets related. It is still a front office role, though not really considered the traditional bread and butter of IB. Not that you necessarily care, but it seems like some site out there has loosely plagiarized your article. I was just wondering if you had any insight on the differences between m&a activity for private or closely held business compared to public companies? Is any of the financial modeling or deal structure different besides the lower values? Big fans of Entourage. I like your analogy for investment banker. One of the reason why IB requires high profile smartass boy is to convince clients that they are in the right hand and also to justified the huge amount of transaction fee paid. I would like to know that as an Analyst am I expected to build the merger model in a spreadsheet from scratch or do I have an existing template used by the company, where I just have to change the figures and hit run? How many deals do an M&A analyst/associate normally do in a year? 2-3 deals or so I heard. Not the same amount of deals as the # in capital markets since take longer to complete and most of the deals die. I know that when you are starting as a junior in a Bulge Bracket you have a few weeks of training (financial modeling, Excel, powerpoint…). However, I am in a small boutique and we don’t have the human capital to train juniors. I was wondering if it exists some IB training seminars similar to BB (2-3 weeks) for juniors like me…? Indeed, my boutique will be willing to pay me my training in NYC. Which companies offer such services if they do? There are seminars but they’re expensive (thousands of dollars). I offer my own training programs on BIWS (look at the right side of the page) which are a more affordable option, you may be able to get your bank to pay for them as well. If you do want a seminar there are a number of options but they can be anywhere from $5-$10K and I don’t know the specifics. I have already your self-study training program which is really good. I was more thinking about a live program like Wall St. training or Wall Street prep even if it costs 5K to 10K (my bank will still pay for it…). So if you know anything like this in new york…or it might be your next service (offering live training bootcamps). Ah sorry didn’t realize. Anyway, I’ve been through all the training programs and like WST the most, at least their self-study materials, as I believe they’re the most in-depth and advanced. I’m not really interested in doing live training so I would recommend them. I was wondering what did you think about the Analyst Exchange Advantage training program? I spoke to one of the employee there who told me he knew you well. If I am looking for a proper live training program would you recommend it? If you want live training and can afford it, yes, it’s a good bet. I haven’t worked with/for them directly before but have interacted with some of them on a few projects and partnerships before and they’re good people. I really appreciate all the helpful insight. Public finance is quite a bit different and is not considered traditional investment banking… you would be more limited to funds that invest in bonds or infrastructure or something along those lines. Most people are better off in corporate finance unless you are really interested in the government and infrastructure projects. Are there any books you recommend I read if I want to get a more in-depth view and understanding of exactly what investment bankers do? This might sound a little naive’ but to be an Ibanker, do you really need to understand the financial markets (stock markets). I understand finance and actually enjoy it but I have a hard time understanding the markets. For investment banking, no, not really. Understanding the markets is more important for trading. Hey, great article man. 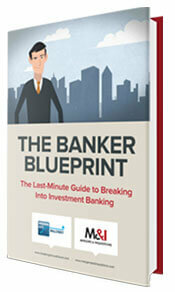 Despite all the prestige surrounding Investment Bankers I never really knew what exactly they did. But i was just thinking, if Ibankers are just trying to promote deals and be charismatic wouldn’t marketers or salesman be perfect for the job? I gather that there really isnt much quantitative work, but if thats the case, why is “highly numerical” or “Strong analytical ability” or something of that nature always a staple of the required attributes? This is awesome! Definitely the best way to describe ibanking. Thank you, this will make it much easier to describe this job to my parents. Keep up the good work. As an IBanker as you gain years of experience, does the working hours become less or more or no difference whatsoever? They decrease a bit but never below the 60 hour per week mark. Fantastic post (as usual)! But I am curious; I interned at a commercial bank last summer that did capital calls for PE firms & their LP’s. By any means it wasn’t like UBS LA, but all the professionals worked from 7 pretty much till 8 or 9 everyday, so I feel the ethos was SIMILAR. There were “firedrills” & “bake offs” but everyone pretty much put there head down and got their work done, and wasn’t that chaotic. Is a m&a analyst pit really the NYSE floor incased in 2500 ft? The picture your painting seems just like a million Ari’s running around on the verge of histaria ha. I mean if this is the case, I wouldn’t argue, but from my limited professional finance experience it would seem like its a little more calm (I did read your “bad day” “good day” posts, this just more about the overall physical atmosphere of the office). Thanks! I mean normally it’s pretty calm but it can definitely get crazy sometimes. But it’s nothing like the NYSE trading floor or anything. Not quite that crazy… mostly pretty quiet but can get frantic at times. It’s very simple – no VBA/Macros involved in most cases. Sometimes you do use them, but they’re usually not necessary. Even at more senior levels, investment bankers are far less glamorous versions of Ari Gold than are actual agents. 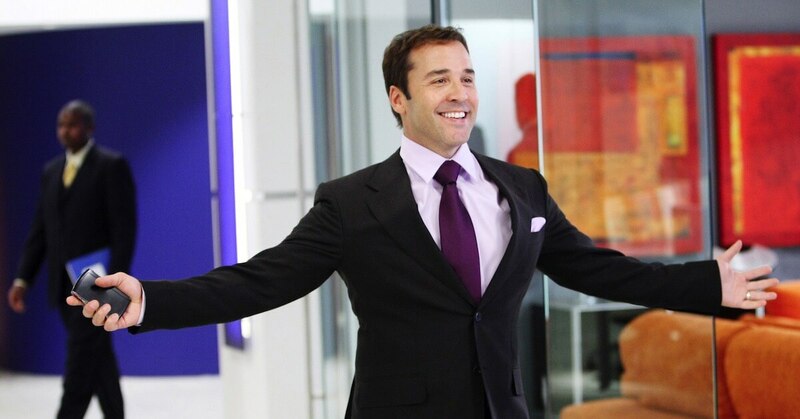 Ari Gold wouldn’t spend all that time doing intensive diligence to win a bake-off before running an intensive, prolonged sale process (and hosting an enormous data room) just to get a buyer across the finish line. Have you seen the same episodes of Entourage I have? Ari Gold is a slave to his clients, at least Vince. Remember in Season 1 when he runs off from his wife at the movies to go secure a deal for Vince? He constantly sacrifices his personal life and family to close deals. So although there may be less gruntwork involved, it’s still a big sacrifice. I think the Entourage analogy is probably the best I have read in a long time. As all the seasons progressed, Ari sacrificed everything for Vince and making sure Vince got the best deals (Medellin not counted). From the sounds of it, IB sounds like a lot of hard work and sacrifice. I’ve only seen one episode of Entourage, and I like the analogy already. The analogy fits my experience in investment banking very well. In response to the previous two comments, very good points both of you. At times I felt like a mailroom boy, and for a while I was so focused on making sure my numbers were right and footnoted and my pitchbooks were grammatically correct that it actually took me a while to figure out what our whole IB business was all about. It should be the goal of any analyst to go the extra distance to make Ari Gold’s job easier, because that’s how the analyst will get a taste of what Ari Gold’s life is about. This is easier said than done though – I have seen many analysts just get used and abused because they were too focused on finishing their tasks like obedient children, and then never ask for things for their own professional development. That’s tunnel-vision that only stunts your own career. The extra distance could include doing super awesome research, suggesting approaches to a prospective client, even pitch ideas. If you’re pitching a web hosting company, put your team’s pitch on the prospective’s hosting service and deliver the pitch from online – that’s the sort of thing your staid senior bosses probably won’t think of and will both impress the client and earn you some extra respect capital, which you then expend to insist on being brought to more meetings while the obedient sucker in the next cube gets left with the menial tasks. Of course it’s misleading – he’s describing what the very high-level people do here. Analyst/associate work is like entering Ari Gold’s agency is a mailroom boy. Still, the analogy holds in the sense that bankers are just agents/middlemen, just like Ari. This description of IB is misleading. Maybe on the senior levels there is some Ari Gold involved… but if your dream job is coming in as an analyst expecting to be a high-powered financial agent, you are mistaken. That’s not to knock the actual job as an analyst or associate, but envisioning an Ari Gold role is more a delusion of grandeur than anything else. I have no idea, I had to read that comment to understand what you meant. But Turtle would be like the IT guy at a bank maybe haha. On a similar note, Drama would be the 6-year VP in a bank who just won’t take the hint! so if I most identify with Turtle does that make me Sergey Brin’s estranged plow-mechanic half-cousin that calls in the dead of night pleading for money to pay back the loan sharks I owe for my recent extravagant purchase of a rusted nazi era outhouse? I am interested in a trading position and will like to ask how traders from i-bank decide what to buy and to sell? From what I have gathered, trading is different from investment management, which uses more of fundamental analysis. I am also preparing for an interview for a trading position and will like advice to the below questions too. 1) Pitch me a stock which you would buy or sell today. See the recent articles on trading… just do a search on this site. Strategies vary a lot, some are based on momentum trading while others depend on fundamental analysis. For the pitch me a stock question, see the interview guide or the interview-related articles here – the Get a Banking Job one has a sample walkthrough.